First real post here. Been reading threads for a couple of months as I've been looking at Boxsters. Sold an Infiniti FX45 and started looking for a replacement. Was planning on a Miata until my fantastic wife suggested a Boxster. First time she got in one, told me forget the Miata idea. So, ended up with a 2001 base. Nothing 'special' other than it's mine. has a new top with glass window. 63k on the odometer. Overall in fantastic shape. Seems like most of the ones we looked at had been hit somewhere or the body didn't line up quite right. No service history with it and I ignored the advice to have a PPI. Done them with other cars before and never felt I got my money's worth. I do plan to have it checked out by a Porsche mechanic in the not-too distant future to see if they can find anything I need to address. Got a good enough deal on it and am planning on clutch/IMSB. I'll be watching the oil filter for metal. Also going to be doing 60k service on my own in the next month or so. No proof it was done and I'm not sure how to tell so figure I'll just do it all. I expect to be asking plenty of questions as I spend more time playing with it and working on it. Other than the normal maintenance stuff, I'm planning on some type of double DIN radio to replace stock and the cupholders as well as an exhaust. We'll see how it all goes! Welcome to the forum. Lots of great people/info here. I too skipped the PPI and have had no issues after 1 year. Your tints look wonderful too. not too dark on the inside? Welcome. Hope the not having done a PPI works out and that that the price reflects the risk you took. The new top with a glass window is a nice score. Thanks everyone! Today was first day it's been warm enough to have the top down since test drives. Looking forward to getting off work and enjoying the trip home. Planning oil change and serpentine belt this weekend. Mobil 1 10w-40 synth ok? Read lots of threads and conflicting opinions. I've had very good success with Mobil 1 in all my vehicles for the past many moons. Easy and inexpensive peace of mind. Guy I bought it from said he'd changed the oil less than a thousand miles ago and he checked for metal in the filter - was not any. While I tend to believe him, I'll be more comfortable doing it myself. Drove four of them, this was by far the nicest overall. Didn't get a steal on it but still feel like I did okay. Top was definitely a selling point. Tint is about perfect. Keeps sun out well but not pitch black at night. Recommendations on radio, exhaust and short shifter? Again, I've been lurking here for quite a while and many different opinions. Shifters, you can get an OEM 987/997 model shifter for a 15% shorter throw, or search for Been006 ball bearing shifter thread on this forum. ..Zip tie the roll hoop wind screens in place. Keep battery on a maintainer when parked. Clean the drain holes under Frunk and top. Check the idler pulleys when you change the serpentine belt. Some have seized and caused fires that destroyed the car. Just curious, why zip tie the roll hoop windscreens? 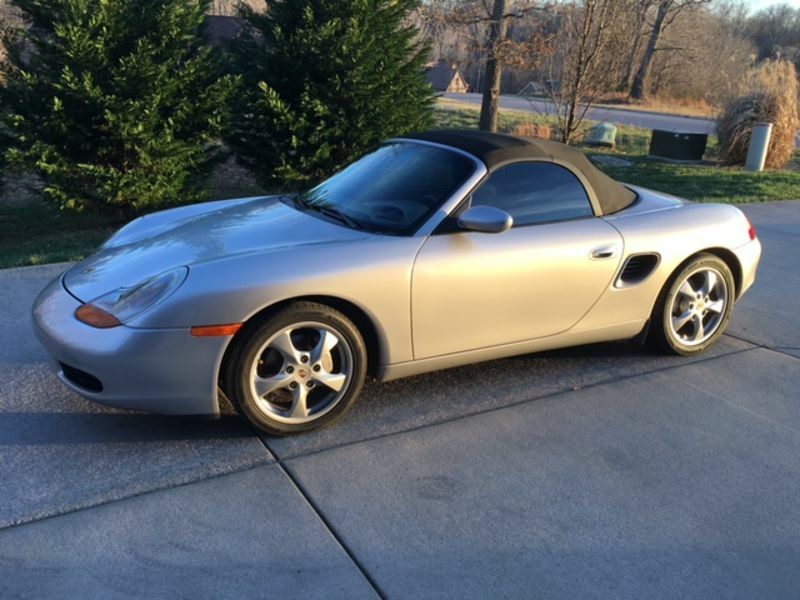 I just bought my Boxster and will be doing a lot of top down driving. Do they fall off/apart? Just curious, why zip tie the roll hoop windscreens? Do they fall off/apart? It is possible for them to fly out while driving; some owners find that the tabs fatigue over years and don't hold the windscreen as tightly. I only run with mine in the spring and fall. During the hot part of the summer, I leave them on the shelf in the garage. Thats interesting. I'm glad I learned this before loosing one. Thanks for the help!